I am happy (pun intended?) 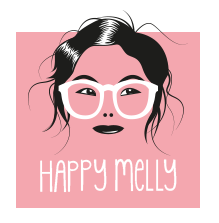 to be part of the first crowd-funding effort for Happy Melly Express! Happy Melly Express is a middle-ground between self-publishing and big publishing companies. The problem with self-publishing is that the quality of the content and look and feel can suffer in exchange for little to no cost to the author, other than time of course. The other problem is distribution. I’m limited to my time and budget. I suppose the benefit is that self-publishers keep the rights to their intellectual property. The problem with big publishing companies is they have distribution reach but offer little to nothing by the way of content development and marketing assistance. For them, it’s about the bottom line, not so much about spreading new ideas. The other problem is that some publishing companies wish to keep rights to the author’s intellectual property and can prevent you from using your own ideas through different mediums. I have experience with both. My first publication was supported by a large publishing company and other than an agreement, big gantt chart of the schedule I had to stick to and arrangement for studio time, I didn’t get much (any?) assistance with marketing, content development, feedback etc. I knew that going in but the time effort for me, as an independent, was extremely high. The product is much more polished than my 2nd publication, which I self-published, but I didn’t feel a great deal of love from the publishing company. Don’t get me wrong, I’m not bashing publishing companies, that’s the way it works and most authors know that. For me it was spreading ideas and getting my name out there as a new author. I’m expecting a much better experience this time around. Happy Melly Express is going to help me with what I need help with by offering a bunch of a la cart services that I can choose from. I am working with a content and structural editor so I don’t need that service but I do need help with marketing, branding, image production and other media production. Happy Melly Express will help with all of that which is awesome! Best of all, I keep the intellectual property and get the benefit of working with Vasco Duarte who I have the upmost respect for. He has been extremely helpful getting me started with this experiment and most of all, we care about helping make each other successful. He nags me when I need nagging to get something done and he’s already done so much work getting this crowd-funding effort off the ground. I’m excited to be working with Happy Melly Express for the 2nd Edition of Lean Change Management. If you’re an author just starting out, I’d highly recommend them as a way to help get your ideas off the ground and into the hands of people all over the world.